Strong East Ramapo has created a statement of support for the NAACP/NYCLU East Ramapo ward system action. Please go to www.strongeastramapo.org to register your support for a ward system in East Ramapo. Come out on Tuesday, February 6 to a public forum to meet the potential candidates for this year’s school board election. There are certainly many people in East Ramapo who are qualified to serve on the board. Maybe someone you know? Or maybe you might be interested yourself? Those interested in being a candidate please fill out This Online Form. Your answers will be shared at the forum. The school board and budget vote will take place on May 15. 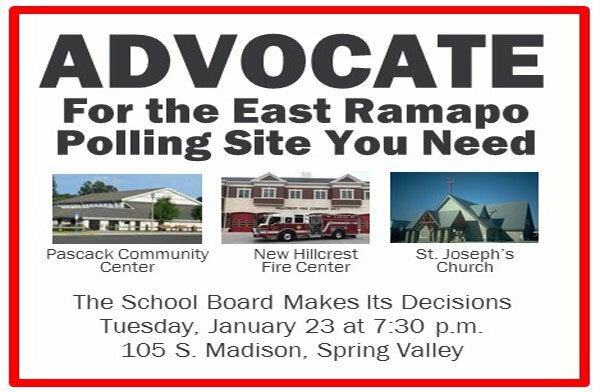 Strong East Ramapo will be working hard to get the vote out to pass the budget. Power of Ten will work to identify and assist candidates for the school board positions. There are certainly many people in East Ramapo who are qualified to serve on the board. Does this sound like someone you know? Or maybe you might be interested yourself? A public forum will be held in the first week of February for the public to meet the potential candidates. Three years ago, Monitor Walcott recommended that an independent election monitor oversee the election process, including designating new polling places. This did not happen. Last year, two new polling places were proposed by the District Clerk, both of which were located in areas where most children are sent to yeshivas.This was not received well by advocates for more resources for public education. 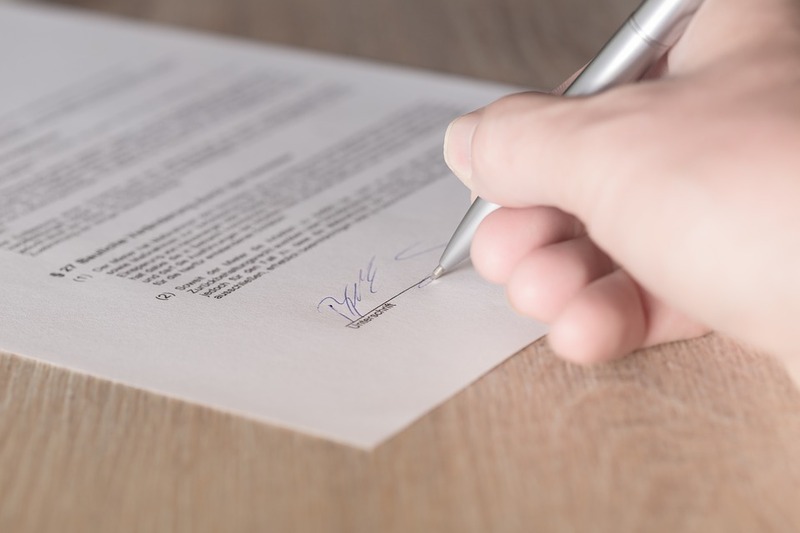 Over the past 3 months, a committee led by the District Clerk has been discussing possible changes. The committee included some poll workers, the NYSED monitor, some opponents of increased resources for public education, and some education advocates, including myself. Location of polling places can influence voter turnout. Factors which affect turnout include confusion when the school polling place is different from the November polling place, distance to the poll, and finding parking. These may be reasons that voters in the Clarkstown and Haverstraw sections of the district have the lowest turnout. I provided the committee with a plan to balance the polls from the very first meeting. 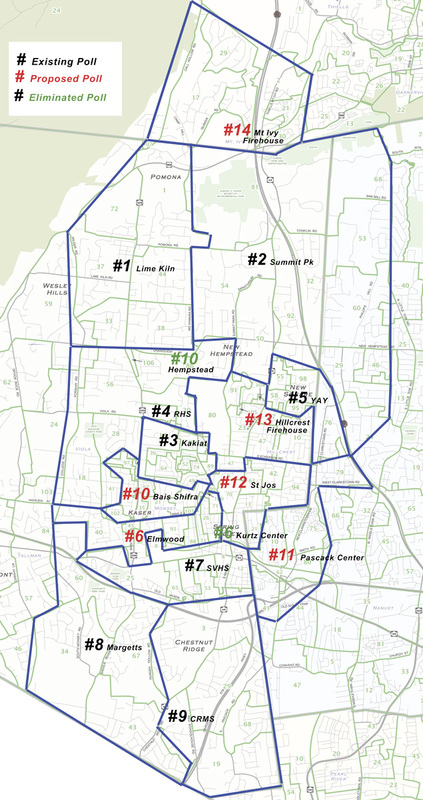 This plan added polls in Haverstraw and Clarkstown, and moved the main location for Spring Valley voters (who support more resources for public education at a higher rate than any other voters in Rockland) to St. Josephs, which is where they vote in November elections, and also the Hillcrest Firehouse, which is where most Hillcrest voters (also strong public school advocates) vote in the November elections. Both the Haverstraw and the St. Joseph’s locations were left out of the plans which were sent to the board. St. Joseph’s was not included in any of the three final options because a concern was raised about Orthodox Jews who may have a religious objection. However, NY State Election Law Section 11-300 allows for voting at an alternative location when “It is against my religious scruples to vote at a polling place located in a premises used for religious purposes.” This option would only apply to a very few people, if any, based on the areas which would be assigned to the St. Joseph’s poll. The final decision is with the board. They could include none, some, or all of the polls which are most likely to be used by supporters of public education. It has been shown that they will listen to public opinion, sometimes. The next board meeting is Tuesday. Please come and express your preference. The New York Civil Liberties Union (NYCLU) with Latham & Watkins LLP, on behalf of the Spring Valley Branch of the NAACP and other plaintiffs, has filed a law suit in federal court challenging the at-large method of electing members of the East Ramapo Central School District Board of Education. The suit claims the at-large system unlawfully denies black and Latino citizens in the District an equal opportunity to elect candidates of their choice. Under this system, board members are elected by all the voters of the school district rather than voters from individual geographic areas. This allows the majority community—which is white, lives close together, and tends to vote as a political bloc favoring private school education—to control eight of the board’s nine seats. Communities of color, who tend to vote as a bloc for candidates favoring investment in public schools, have not seen their candidates of choice win a contested seat since 2007. Judge Cathy Seibel of the Southern District of New York is presiding. NYCLU-Latham has requested a preliminary injunction to postpone the scheduled May 2018 board election until after the Court rules on the law suit. The District is opposing the preliminary injunction motion. The Court has scheduled the preliminary injunction hearing (which is similar to a trial) to begin on April 12th. Thus, we expect to know if the Judge intends to halt the election and implement a new voting system in the District before the May 15th elections take place. Strong East Ramapo is hosting a free dinner where people can learn about the ward system and how we can all work together for better education for all children. Power of Ten will be there too, and we will be asking if anyone is interested in volunteering for this year’s campaign to elect public school supporters to East Ramapo’s school board in May. Where: The Hillcrest Fire House, 371 North Main St. (Route 45), in Spring Valley. 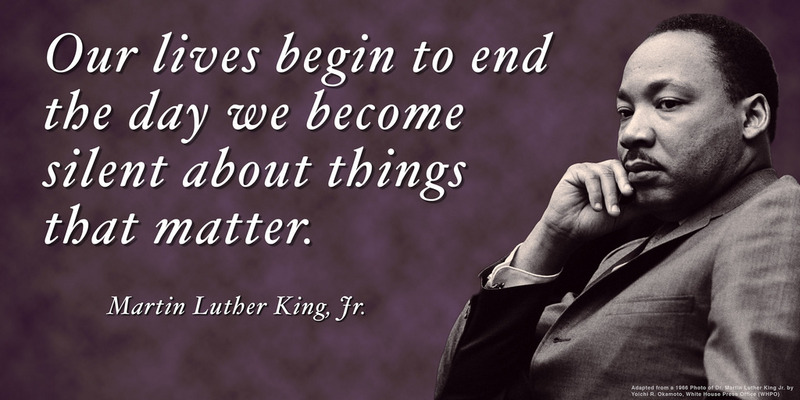 The Martin Luther King Multi-Purpose Center will hold its annual celebration of the life of Dr. King on Monday, January 15th at 3:00 PM at Ramapo High School. As always there will be fantastic entertainment, food, and exciting speakers. The event is free. Strong East Ramapo is asking you to sign their statement of support for the ward system in East Ramapo. Please go to www.strongeastramapo.org and add your name. Education Activist Naftuli Moster, the founder of YAFFED (Young Advocates for Fair Education) is considering running for the NY Senate. You can learn all about him and his potential campaign on his Facebook page, or in this excellent article in The Forward. Strong East Ramapo is hosting a a fun event where people can learn about the ward system, meet others, and helped bring about change. Power of Ten will be there too, and we will be asking if anyone is interested in volunteering for this year’s campaign to elect public school supporters to East Ramapo’s school board in May. There will be a free dinner, so please RSVP to strongeastramapo@gmail.com by January 7. The Martin Luther King Multi-Purpose Center will hold its annual celebration of the life of Dr. King on Monday, January 15th at 3:00 PM at Ramapo High School. As always there will be fantastic entertainment, food, and exciting speakers. The event is free. In our struggle to improve the quality of education in East Ramapo schools, it has often been said that a failure to educate will result in a need to incarcerate. This was actually used as a defense in the trial of one local resident, who served eight years in prison for a crime he says was directly related to being deprived of a quality education. Lawyer: Let’s talk about you. Specifically, let’s talk about your education. How many years of formal nonreligious education did you take? Defendant: I — I graduated eighth grade. Lawyer: What other education in the rabbinical or religious sense have you had? Defendant: Most of my studies, I went to — I went to — are schools that have English — a Jewish program in the morning and then English program in the afternoon. And then I went to high school, a religious program(…). The defendant, Sholom Mordechai Rubashkin, currently of Monsey, NY, served eight years of a 27 year term in prison before being released by President Trump. The cost to society from the failure to educate just this one individual was high. There are the millions of dollars spent on the trial and the prison. There was all the harm to the workers and the town and the company he was in charge of. He was running a meat packing plant. Accidents at the plant resulted in amputations. Child labor was common. The closing of the plant hurt the town and disrupted the supply of kosher meat throughout the whole country. All of this caused by incompetence due to lack of education. Thousands of children still languish in schools that don’t educate. The burden on our society is growing. It is only political will that is lacking. How will future generations judge those who sat by and did nothing? Please support www.Yaffed.org, an organization that is working for better education. Together, we can end the yeshiva to prison pipeline.